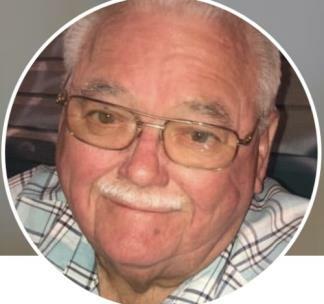 Breland “Bud” Little, 83, of Chattanooga, Tennessee, fell asleep in death on Tuesday, January 15, 2019. He was born July 23, 1935 and was preceded in death by his wife, Sandra Lee; father, Charles Allen; mother, Lela Bell Lassetter-Little; sisters, Charlene, Irene, Lavella, and Clara; and brothers, Donald, Milton Ray, and Thomas Calvin. Bud was one of Jehovah’s Witnesses. He is survived by his son, Daniel (April) Little; daughters, Angela (Wiley) Morgan, Sherrie (Bill) McMillon, Joanne (Dexter) Mathis, and Deirdre (David) Nicholas; seven grandchildren, seven great grandchildren, and two great, great grandchildren; sisters, Gertrude “Trudy” Smith of East Ridge, Wanda Harmon of Foley, AL; brothers, Gaither “Don” of Cohutta, GA, and Levoy of Houston, TX; and numerous nieces, nephews, cousins and friends. The memorial service will begin with visitation from 12-1 p.m. held on Saturday, Jan. 19, at the Kingdom Hall of Jehovah’s Witnesses, 7271 Tyner Road, Chattanooga.